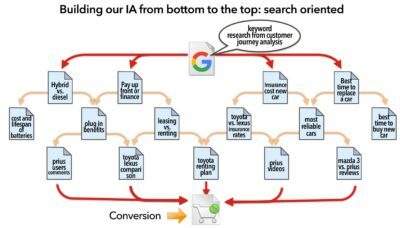 In the second part of Fernando Macia’s post about customer journey, Fernando talks about search scenarios. If we want to predict the most probable searches, which a user might do along his customer journey, it is very useful to build search scenarios. And once we are able to build these search scenarios, we will be ready to look at our information architecture from a different perspective. These search scenarios also give us a deeper insight into the customer behaviour. Common sense, lateral thinking, psychology and, most of all, empathy and, in the near future, big data, will help us design probable, popular search scenarios made up not only of semantically-related keywords, but of related search intents, which perhaps do not follow a logical, but a sequential path. It is possible that we cannot identify a cause-effect relationship, but when we look at the chronological development of the process, we can find that it all makes sense. This information will come in handy to design a content strategy that will fit the most probable searches for this searching persona during their customer journey. Search scenarios will be different depending on the kind of product or service, and the customer or client profile. A professional purchase will mostly depend on the reliability of the provider and the specifications of the product. This kind of purchase is also very sensible to price and payment terms. In contrast, somebody searching for his next 5.1 sound system will mostly depend on user comments, brand recognition, competitive prices and a nice design. Each one of these search scenarios will include the most probable kind of searches that a user is eager to do while documenting his purchase decision. Once we have been able to imagine the search scenario for our target customer, we can adapt our content, page structure and information architecture to our customers’ journey. Traditionally, we have been building our Information Architecture from top to bottom. We usually identified the most popular search patterns with the keyword suggestion tool of our choice and decided how to create taxonomies and folksonomies to group our products or services in a way that resembled how our users would search for them. Although we take our target users’ searches as an inspiration, this design of an Information Architecture is product-oriented. Perhaps we could try to build our information architecture in a more user-oriented fashion: from bottom to the top. We should start defining where on the page the conversion should take place, and then imagine all the possible traffic sources that would take quality visits to it. First of all, we must consider what is the optimal search intent for which a certain page should be optimized. For instance, in the example above our customer would finally search for “Toyota Prius offer Alicante”. An interested customer filling in a contact form at this page would be our final conversion goal. We would design the perfect landing page for this search intent, both from an SEO and a usability point of view. There would be a focus on the optimal search for this page “toyota prius alicante offer”, and also a call to action to fill in the form. But, what happens if the user is not ready for conversion yet? If this is his first visit, it is not probable that our customer is ready for the final decision. But perhaps he is for the next step in that direction. So, not only we should anticipate which the optimal search intent and conversion goal for each Web page should be, but also which alternative exit paths could be required during the customer journey at that point, the most popular reasons why the user would exit the page. And then, instead of letting him go, we can drive him towards the right content to bring him back to the conversion funnel. Objections that are common to every micro-moment of the customer journey should be included in every page. For instance, credibility badges at the footer. Objections that might arise from a certain search intent: include them in the same page. Objections, which are not as closely related, but also probable: include links to different pages and from there to the next one, and to the one after that, until they are prepared to make their final purchase decision. 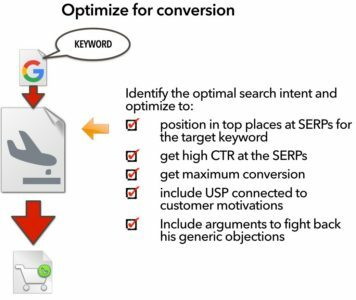 So, each page must be optimized for a certain keyword and must have a conversion goal, whether it is the final purchase decision or it is the link that will take the customer a step further to the ultimate conversion goal. Exit paths from the Funnel visualization: identify all the possible exit paths: Why is the user leaving? What additional information, content, etc. could we offer to solve his objections or to satisfy his requests, in order to drive him back to the conversion funnel? Behaviour flow at each landing page: where do users go from here? 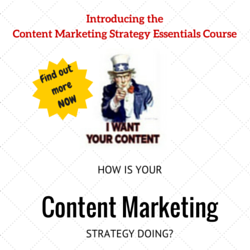 We should concentrate on offering them alternative content, so that their exit rate will tend to a minimum. Internal search: what information are your users searching for on your Web site? Are you offering the right answers? How do they behave after searching? Unique organic landing pages: a diversification strategy on your content should increase the number of unique landing pages for organic traffic. Check whether you are efficiently driving this traffic to conversion pages through the right links and CTA. We used to define the home page as the most generic landing page. And used popular search patterns to identify the taxonomies and folksonomies that we should rely upon to design menus and filters, product families and the rest of the information architecture of our Web sites. 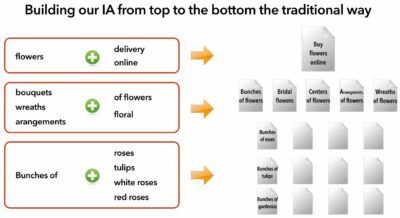 In contrast, the customer journey analysis opens new possibilities to build the IA from the bottom up. We start with the most obvious conversion page and then imagine all the different search scenarios that could drive potential customers to this page: motivations, objections, information, comparisons, user comments, reviews, social mentions, offline media… so we can design the whole way back through the customer journey. It is much easier to imagine all the pages we need to position for each of the micro-moments that make up the customer journey. Customers may land in each one of these pages, depending on the search intent and on how ripe their purchase decision is. And follow their journey on our Web site if they find the information they expect at each point. 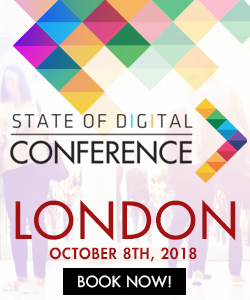 Search scenarios also show us how to relate and link those pages to make users progress in a logical or chronological way from the awareness level at the beginning of their customer journey to the point where they feel confident enough to make a purchase decision, once all the objections are solved.